Paul R. Gregory's writings on Russia, the world economy, and other matters that he finds of interest. The Bureau of Census’s Current Population Report, Income, Poverty, and Health Insurance Coverage in the United States: 2011 (September 2012) shows 48.6 million American men, women and children without health insurance. The Census Bureau, in its technical notes, admits this is an over count. Some eight million on Medicaid report themselves without insurance. This adjustment lowers the number of uninsured to 40.6 million. We can calculate the number of “non-poor” without health insurance from the above Census Bureau report using the percentages of uninsured people in families at different levels of household income. The official poverty threshold income is between $11,484 for a single person and $22,891 for a family of four, I use $22,500 figure as the poverty threshold income. The Census Bureau finds that 24.4 percent of uninsured persons live in households earning less than $25,000, 21.5% in households earning $25,000-$50,000, 15.4% in households earning $50-75,000, and 7.8% in households earning more than $75,000. We can use Internal Revenue Statistics to multiply the number of households earning $22,500-$25,000, $25,000-$50,000, $50,000-$75,000, and $75,000 or more by the percent of uninsured households in each category. This procedure yields the number of uninsured households earning $22,500-$25,000 (2.5 million), $25,000-$50,000 (7.2 million), $50,000-$75,000 (2.9 million), and $75,000 and above (2.3 million). We approximate the number of uninsured people in households with incomes $25,000 and higher by multiplying by the average number of household members by income level. The final tally is 36.1 million people in households earning $22,500 or above that are uninsured. (We suspect that most of these people are young. One quarter between 18 and 34 do not have health insurance). We get the number of uninsured poor by subtracting the 36.1 million uninsured non-poor from the total uninsured of 40.6 million to get 4.5 million uninsured poor. The Census Bureau reports that 9.8 million non-citizens are uninsured. If we, as does President Obama (in a television interview) exclude them from subsidized government programs, they should be dropped from the insured poor ranks. Most non-citizens are Hispanic who have a poverty rate of 25%. If we use the Hispanic figures, we must drop another 2 million from the uninsured poor, for a total of 2.5 million uninsured U.S. citizens. Given the vagaries and approximations of these calculations, the 2.2 million figure (seven tenths of one percent of the U.S. population) is probably not significantly different from zero. Only five percent of the 46.2 million Americans in poverty lack health insurance, not because it is not available to them, but they do not know about it or do not care to enroll. In 2001, then state senator and University of Chicago law lecturer, Barack Obama, sat down for a public radio interview. At the time, he did not anticipate a near-term run for the presidency. He spoke candidly and deliberately about how to “break free” of Constitutional constraints against redistribution to provide “economic justice.” In the course of his interview, Obama laid out the electoral strategy of cobbling together the “power coalitions” that have been the hallmark of his 2012 re-election campaign. Politicians are said to speak the truth only by mistake. As his political career took off unexpectedly, Obama subsequently hid his views on redistribution, except in unguarded moments, such as “you didn’t build that” or “spreading the wealth around is good.” But on that day in 2001 in a Chicago public radio station, Obama candidly expounded his political and social philosophy as shaped by his critical-legal studies professors at Harvard and his experience as a community organizer in Chicago. What If 'President' McCain Was Running For Re-Election Against 'Senator' Obama? Imagine John McCain, having eked out a narrow victory in 2008, running for reelection against Illinois Senator Barack Obama under today’s economic and foreign policy circumstances. The following would be a sample triumphant press report – New York Times, Washington Post, LA Times, what have you — dated Friday September15. “President John McCain’s reelection bid is tottering on the verge of collapse. The raising of the black flag over the Cairo Embassy, the killing of the U.S. ambassador in Libya, and the outburst of violent protests throughout the Mid East appear to be the coup de grace to McCain’s faltering campaign. Yesterday, reporters pelted the visibly dispirited McCain on the campaign trail with pointed questions about the Middle East: ‘Did you really say Egypt is no longer an ally? Did a major UK newspaper not present evidence that we had credible reports of security breaches at our Libya compound and you did nothing about it? You have not held a press conference for months. When do you intend to stand before the press and answer our questions? In my World Economists Confirm America's Decline Under Obama, I stressed the headline that the World Economic forum’s Global Competitiveness Index lowered the United States’ world ranking from first to fifth during the first three years of Obama’s term. And the Managing Editor of the Times denies any form of media bias in her newspaper. “Now there are 250,000 more people working in the auto industry than the day the companies were restructured. Governor Romney opposed the plan to save GM and Chrysler. So here’s another jobs score: Obama two hundred and fifty thousand, Romney, zero.” Wild applause. Clinton gets his figures from the Bureau of Labor Statistics, which shows that U.S. auto manufacturers (both domestic and foreign owned) employed 624,400 at the time of the bankruptcy (June 2009) and now employ 789,500 — an increase of 165,100 jobs. Auto dealers employed 1,009,700 in June 2009 and 1,081,200 today — a gain of 71,500 jobs. The two gains add up to 236,600 jobs (Clinton’s 250,000). Sorry, President Clinton. There is no way you can you attribute the 236,600 job gain to the General Motors bailout. According to the carmaker’s annual report, GM North America employed 70,000 in the United States in June of 2009 (the rest were in Canada and Mexico) and 74,500 today, for a net gain of 4,500 jobs. Of the auto manufacturing job increases, GM accounts for only two percent. U.S. voters are being barraged by claims and counter claims of how many jobs were lost or created under the Obama administration, did the Detroit bailout hurt or help, and whether Obama or Republican stonewalling are to blame for the feeble recovery. This partisan din kicks up a huge cloud of dust as self-appointed “independent fact checkers” and “nonpartisan” think tanks contradict each other. Large numbers of economists, some prominent and others less so, line up on both sides. Pity the harried undecided voters in search of non-partisan information. Throughout most of its short history, the GCI ranked the United States first or second. At times, Switzerland, Finland, Singapore, Denmark, and Finland have given the U.S. a run for its money. The GCI, to its credit, addresses what should be the core issue of any political debate in any country: How well have country leaders managed the economic and political institutions that create prosperity and growth? Obama should be re-elected or “let go” depending on how American voters evaluate his stewardship of America’s political and economic institutions. The World Economic Forum’s motto is: “Committed to Improving the State of the World.” Its annual winter meeting in Davos, Switzerland attracts the world’s jet-setting political, business, and intellectual glitterati as they discuss issues de jure -- the world economy, health and HIV, climate change, and globalization. Presidents, prime ministers, central bankers, queens and parliamentary/congressional notables rub shoulders with Bill Gates, Russian oligarchs, Henry Kissinger, Bill and Hillary Clinton, Al Gore, and Kofi Annan. Barack Obama fits the intellectual, cosmopolitan, and global profile of the World Economic Forum to a T. A GCI conclusion that U.S. political and economic institutions deteriorated under Obama’s stewardship could not be spun as partisan by Obama’s spin masters. Cullen Professor of Economics, University of Houston. He is also a research professor at the German Institute for Economic Research in Berlin. He is chair of the International Advisory Board of the Kiev School of Economics. He serves as co-editor of the Yale-Hoover Series on Stalin, Stalinism, and Cold War. 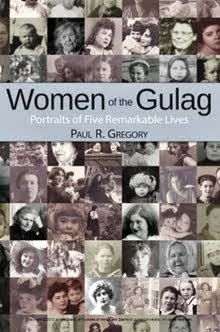 He has co-edited archival publications, such as the seven volume History of Stalin's Gulag (2004) and the three-volume Stenograms of Meetings of the Politburo (2008). Gregory is the organizer of the Hoover Sino-Soviet Archives Workshop that takes place in the summer at the Hoover Institution. His recent publications include Lenin's Brain and Other Tales from the Secret Soviet Archives (Hoover 2004) and Terror by Quota (Yale, 2009). Three reviews of Politics, Murder and Love in Stalin's Kremlin"
Dr. Gregory's latest book, "Politics, Murder and Love in Stalin's Kremlin: The Story Of Nikolai Bukharin and Anna Larina", can be found at Amazon.com.